Otis — the virtual patient simulates a range of complex hearing defects so that correct audiometry can be administered without having to burden a patient at all. The software intelligently and realistically simulates the behaviour of the patient and detects possible user errors immediately. The program guides the learner through the exercises at several levels of difficulty and provides useful help. Otis – the virtual patient shortens the time needed for training, as all types of hearing impairment can be simulated for audiometry testing at any time. In this way, proficiency in procedures can be improved, and the skills acquired can be put into practice significantly faster. Using the program, experienced practitioners also have the opportunity to acquire routine in working with complex hearing impairments, thus decisively increasing client safety. The integration of autonomous learning concepts allows learners to work simply and efficiently wherever they are, and thus make best use of their time. 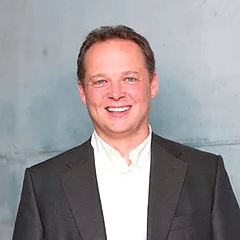 Otis – the virtual patient was developed in close cooperation with consultants at the University Hospital in Zurich, the Academy for Hearing Aid Acoustics in Lubeck and the Aston University in Birmingham. Otis – the virtual patient does not just set completely new quality standards; it has also been extremely well received by experts. Its fundamental benefits compared with traditional methods have led to educational and training institutions, private hearing aid dispensaries, medical practices and hospitals throughout the world integrating it into their training and staff development programmes within a short time after the product launch. 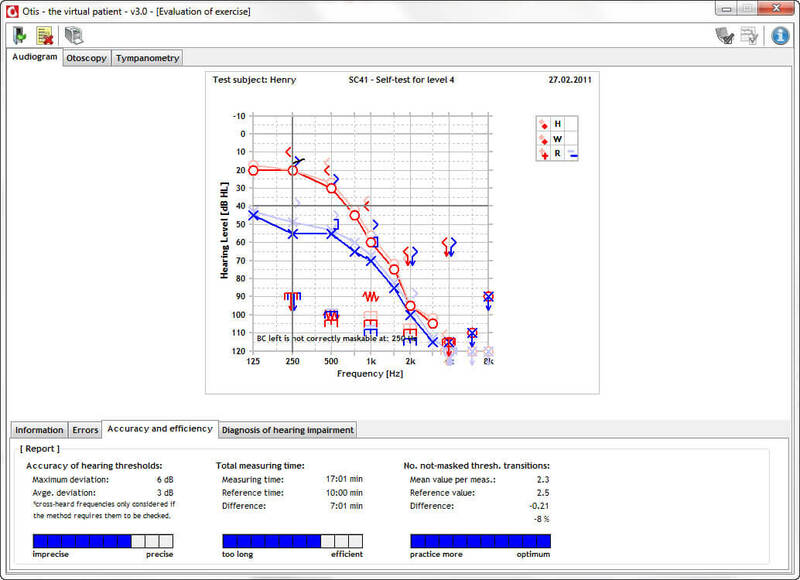 Otis – the virtual patient presents a completely new approach to running training courses for audiologists. 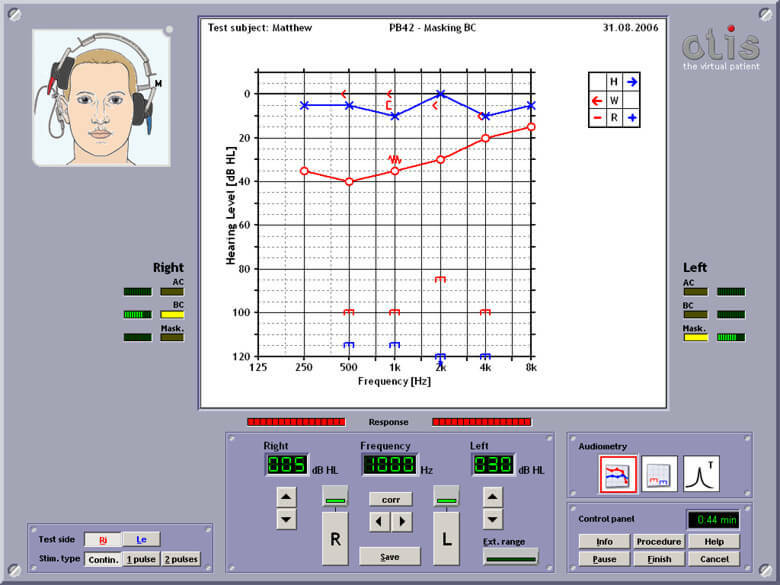 During the actual audiometry course, the instructors focus on teaching the theory and providing the participants with an introduction to using the program Otis. 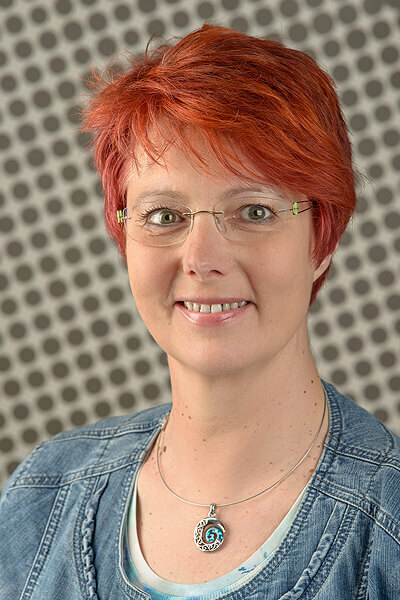 After the course, the participants have the opportunity to deepen the theoretical competence they have acquired autonomously either on a distance learning course or in a suitably equipped skills lab and apply them with Otis – the virtual patient. At the same time, exercises and analysis data are exchanged over the Internet so that each learner may be individually supervised and supported by the trainers. These courses can finish with a test which the participants can take using a PC not tied to any particular location. 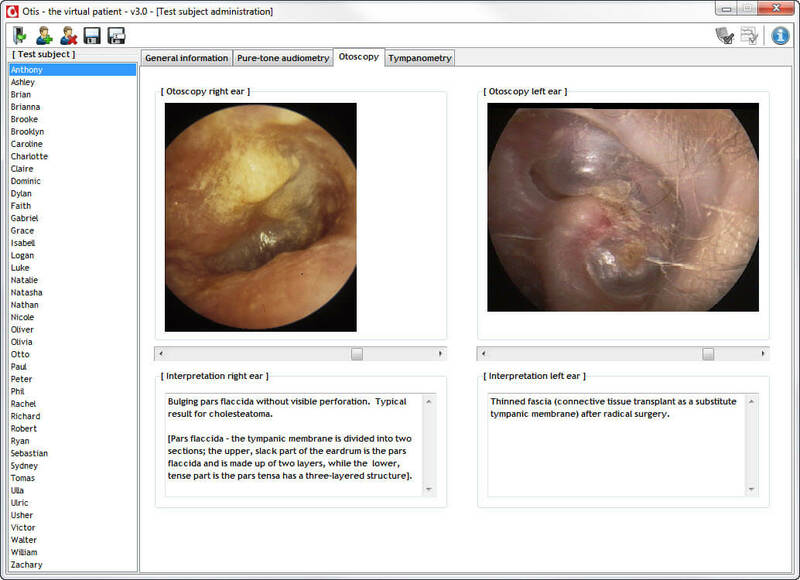 The Edition Pro of Otis – the virtual patient has been specially designed for individual audiologist training, medical practices and private hearing aid dispensers. Conducting complex hearing tests requires a high level of training and continuing professional development in the field of audiometry. It is to meet this need that Otis Pro has been developed with its user-friendly interface and numerous features. 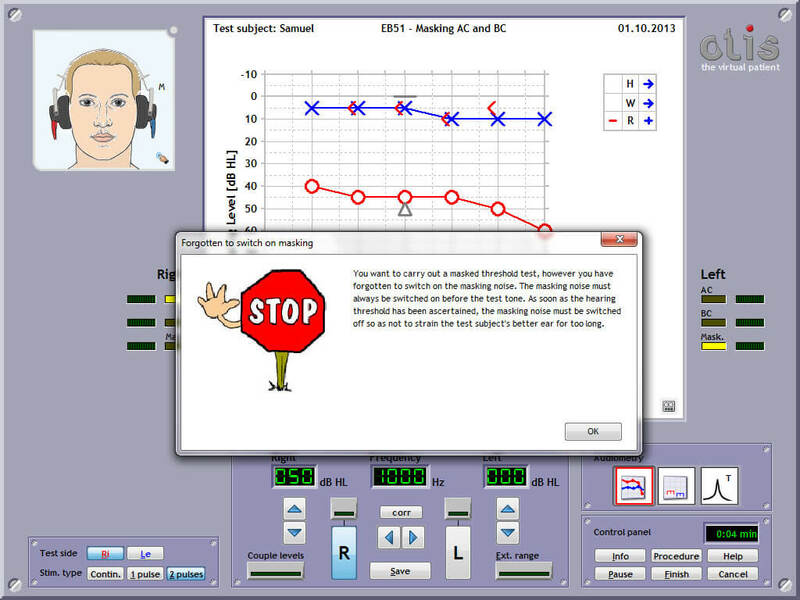 The didactically designed software familiarizes learners with audiometry at a selectable level of difficultly and monitors each and every step. Accurate analysis of the measuring processes also allows the learning objectives to be continually monitored and adapted. Otis Pro is therefore the instrument of choice for cost reduction whilst quality demands increase. 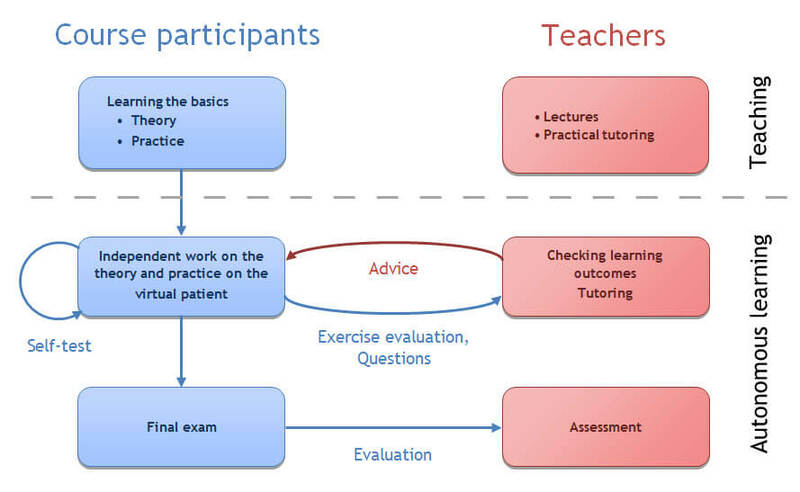 The Otis Expert of Otis – the virtual patient was developed specially for course leaders and training managers; it provides numerous functions to allow the patient profiles and exercise data to be tailored to the particular needs of learners. 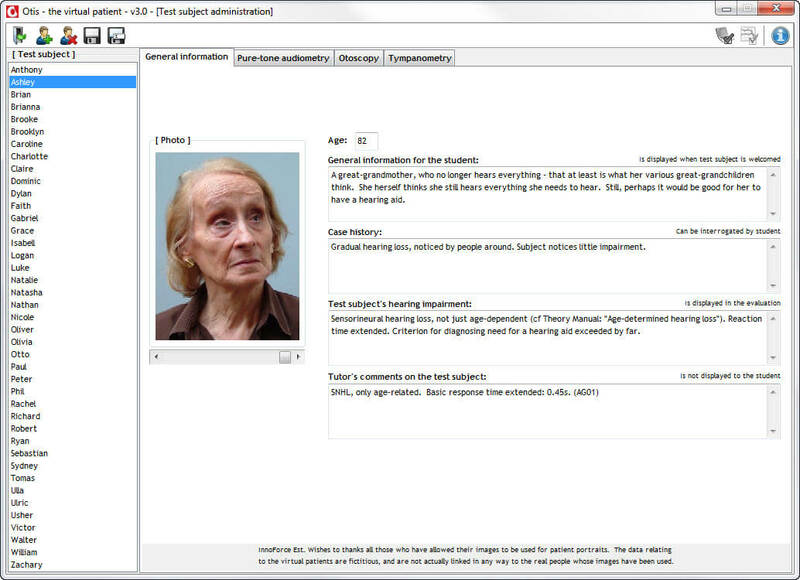 With the additional assessment module, you can generate and evaluate student exams. The Otis Expert for trainers and tutors in conjunction with the Edition Pro for learners provides a completely new training concept, combining the most up-to-date communication technologies with traditional didactic principles. 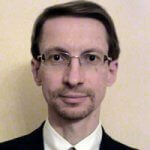 Otis Expert therefore the instrument of choice for increasing the efficiency of continuing training. If you are interested in purchasing Otis – the virtual patient, you are welcome to do so via our online shop. Please feel free to contact us for a tailor-made offer for educational institutions.